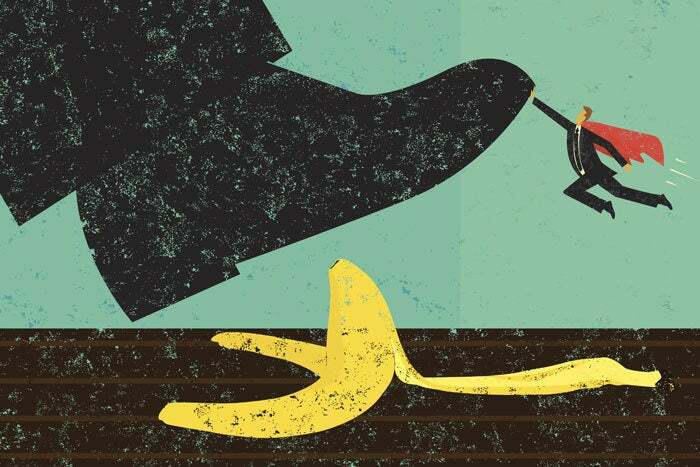 Experts in enterprise resource planning software discuss some of the most common missteps IT leaders make when choosing, deploying and implementing an ERP system — and what they can do to prevent or circumvent them. Today’s IT executives have more choices than ever when choosing an enterprise resource planning (ERP) solution. From on-premises systems to cloud-based software-as-a-service to industry-based solutions, there is a dazzling array. And decision makers can feel overwhelmed when trying to determine which features and functions are the most important. So CIO.com reached out to dozens of ERP experts, for advice on how to navigate this complex landscape. Specifically, we asked them to identify the biggest mistakes they see executives make when choosing, deploying or implementing an ERP system — as well as for suggestions as to how organizations can avoid making potentially costly errors. “When implementing an ERP system, many organizations focus their time and effort on gaining approval from leadership executives, when they should be engaging key employees who will be using the system the most,” argues Kevin Beasley, CIO of VAI, an ERP software company. “With software-as-a-service fast becoming the predominate platform for new ERP implementations, SaaS may seem like the perfect solution for organizations who experienced difficult implementations or have struggled to support their earlier ERP investments,” says Nathan Frey, partner at Information Services Group, a technology research and advisory firm. “While SaaS does offer many benefits, clients [need to understand] the new organizational challenges that SaaS can pose. When choosing an ERP solution, executives often overlook the fact that “there are a lot of very good small software companies that support specific industries with specialized needs, such as pharmaceutical distribution,” says Canes. And these specialized vendors/solutions “may provide more industry-specific features [and] software customization,” which may be a better fit for your business. “Features are important, but they aren’t everything,” notes Nathan Brown, CTO of EVS, a provider of warehouse management systems. “Too often, an organization selects the ERP that has the longest features matrix.” Instead, businesses should consider the solution’s “industry success history, customization, flexibility and integration ability,” as well as customer support, in addition to how well the solution addresses the organization’s needs/requirements. Even cloud-based ERP solutions require change management. “SaaS solutions bring the promise of configurable business processes and more intuitive user interfaces than prior ERP software offerings,” says Frey. “This often leads organizations to assume that organizational change management and training are less important for SaaS projects.” However, “SaaS solutions place greater burdens on clients to adapt current business processes to the software. “[Properly] structuring the internal implementation team and giving it the [necessary] time and resources it needs to carry out the implementation and associated business transformation is one of the most critical steps of an ERP project,” explains Carr. “A successful team requires the right people, with executive buy-in and decision-making power to get the job done. This often means re-assigning the day-to-day responsibilities [of team members],” but doing so can be the difference between a successful rollout and failure. To avoid this problem, “create a project communication plan for all phases of the project,” suggests Dave Goossens, executive vice president of professional services at ERP vendor Unit4. Put together “a small core team [composed of individuals from different departments] that communicates and works well with one another and that has influence in the business areas most affected by the new solution. Then make sure they are [kept] fully up-to-date on project progress at all times” and, in turn, keep all those in affected areas up to date. “Implementing an ERP system takes time, but the work hardly stops once the system is successfully in place,” says Beasley. “Businesses should implement a maintenance strategy to ensure workers are aligned on what needs to be done to maintain and improve the ERP system on a regular basis so it doesn’t become outdated or obsolete.